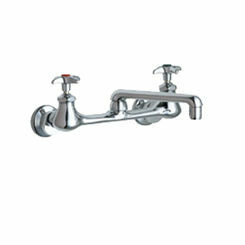 Faucets come in a variety of different shapes, sizes, colors, and types and in the plumbing industry, no two faucets are the same. 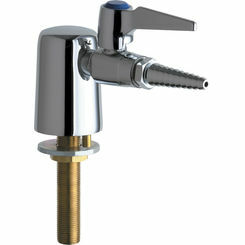 One type of commercial faucet that serves a very specific application is the laboratory faucet. 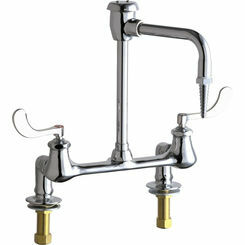 Used in a laboratory settings, these faucets are designed for convenience and safety. 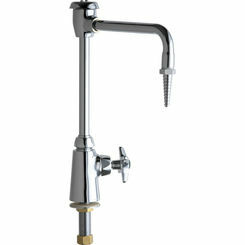 Not all lab faucets are created equal, and there are different options to consider when making a purchase. 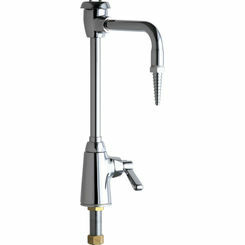 Lab faucets consist of your basic lab sink faucet, gas faucets, eye washers, and PlumbersStock offers trusted brand names: Chicago, Delta, Moen, and more. 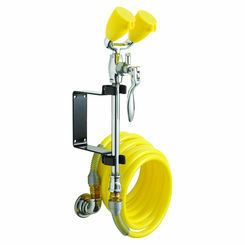 We strive to offer plumbing products for all variety of customers and their unique application. 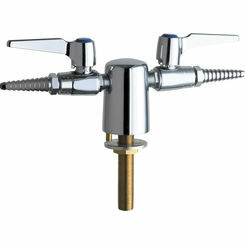 Your basic laboratory faucet serves as a fixture for your sink. 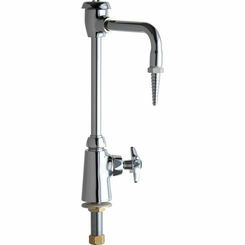 These faucets are much like a bathroom or kitchen faucet in that it performs the same function of providing hot and cold water to allow you to rinse and wash all your laboratory items. 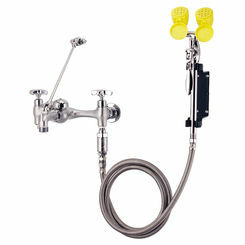 These lab faucets are designed specifically for use in labs, therefore they meet all requirements for building codes. 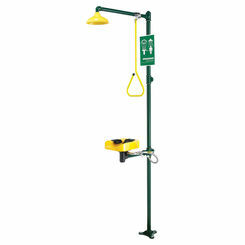 Options ranging from wall mount to deck mount are available depending on the needs of the lab and the preference of the people using the lab. 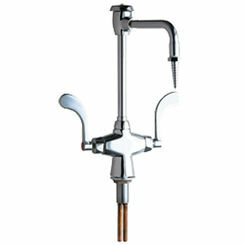 The term laboratory faucet also refers to gas dispensing faucets. 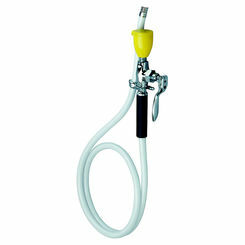 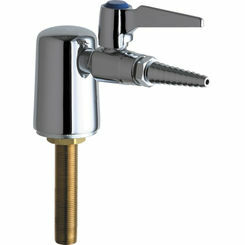 There are a wide selection of these gas faucets available through PlumbersStock, from manufacturers such as Chicago. 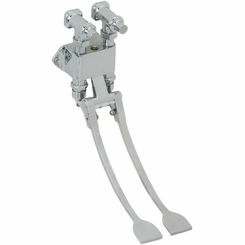 They are compatible with most laboratory gases. 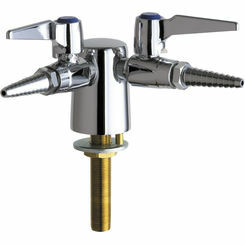 These faucets come with either one or two ball valve outlets that allow you to control the amount of gas that comes out of the lab faucet. 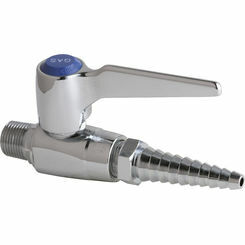 The lever handle controls the ball valve and moves it to create a larger or smaller opening to allow the gases to pass through. 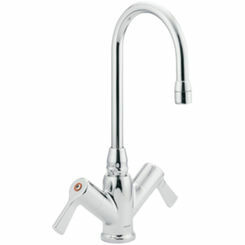 Not only is there a great selection of laboratory faucets available for you to choose from, there are also accessories that can enhance use of these faucets. 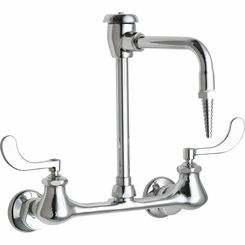 A double foot pedal valve from Elkay is a great addition to a faucet in that it allows you to turn the water on and off with the control of your feet, which may come in handy if you have a mess in your hands. 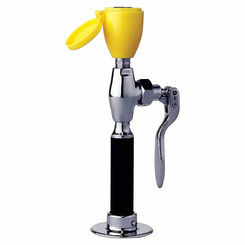 Another great option to consider, if you always have your hands full is a knee-operated valve, which is similar, but it allows you to control the flow of the water with a tap of your knee. 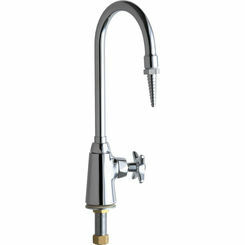 Though the word faucets is most commonly thought of in residential applications, industrial applications, like furthering science are just as important. 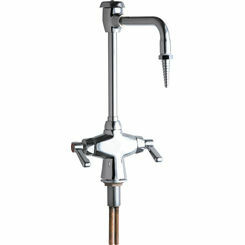 Having a proper laboratory faucet installed within your lab or workplace is a necessary piece to the puzzle. 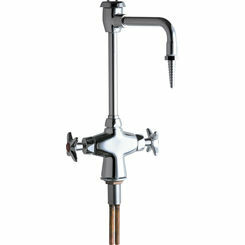 Be sure to check out all the discount lab faucets available and save on all your commercial plumbing needs at PlumbersStock.